Mr and Mrs S. in Upton near Poole. On the 11th February 2014 we installed this sixteen panel 250 watt Phono all black system for Mr and Mrs Smith in Upton near Poole. 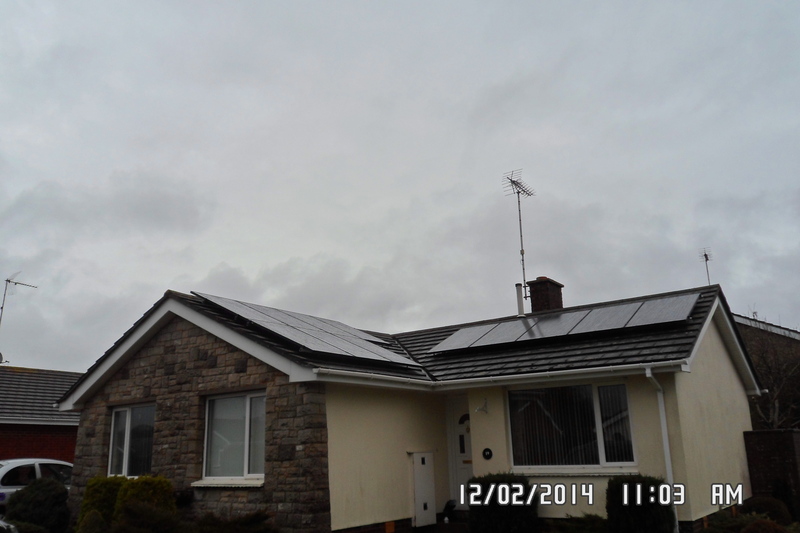 It is seven panels facing South with five facing West and four East all with the market leading Enphase micro inverters. We predicted an annual generation of 3500 kW hours. On the 10th February 2015 it has produced 3920 kW hours which is 12% better than our original prediction. Our original quotation included a prediction that this system would return in excess of £26,000 over the twenty years, based on our 3500 kW hours annual generation figure. The initial outlay was less than £8000 and the equipment all comes with a twenty five year warranty.